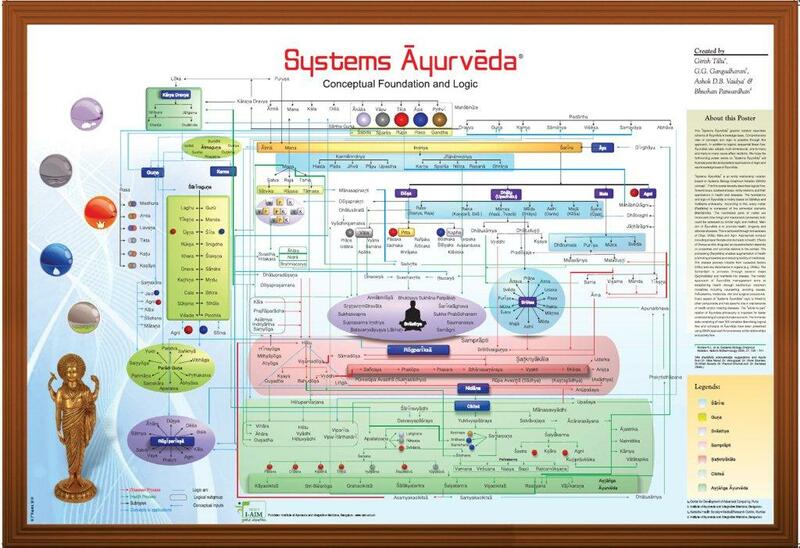 The ‘Systems Ayurveda’ graphic notation describes schema of Ayurveda knowledge base. Comprehensive view of concepts and logic is possible through this approach. In addition to logical, sequential linear flow, Ayurveda also adopts multi-dimensional, one-to-many and many-to-many cause effect relations. We hope the forthcoming poster series on ‘System Ayurveda’ will illustrate potentail and practical applications of logic and vast knowledge base on Ayurveda. This product was added to our catalog on Tuesday, 18 December 2012.